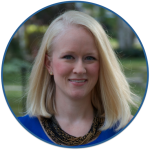 Argumentative Writing | Kristen Dembroski, Ph.D. I had all topics pre-approved by the principal, and I did a few quick searched on my own to determine if there was enough credible and student-friendly material available on the internet for them. As you can see from the picture above, the top picks in each class were legally assisted suicide and cell phones in school. The first step was teaching my students what evidence is (FEAST-ExO) and how to appropriately perform a google search to get some background information on their topic. I gave each small group a post it and asked them to post 5 indisputable facts about their topic that they found in their research. 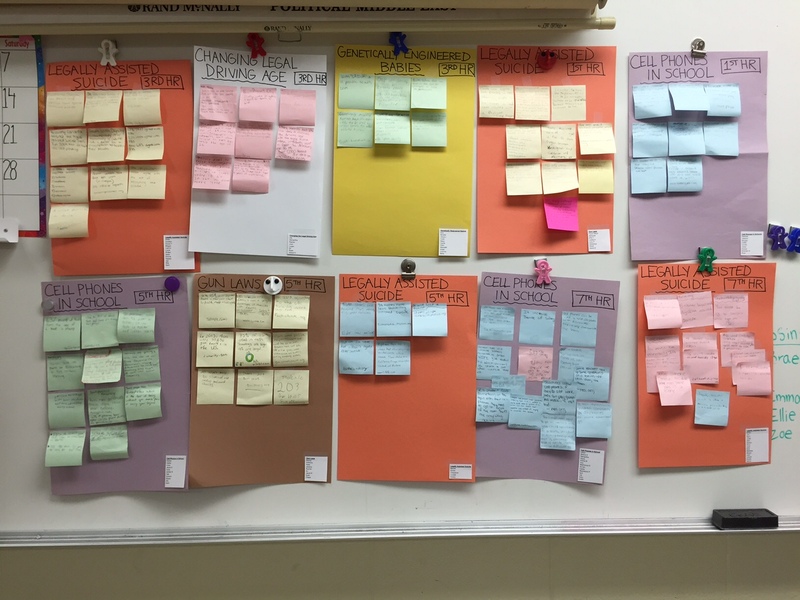 Then, I had each small group generate sub-questions that they still wondered about their topic, divvy up the questions to group members, and perform further research to add to the posters. This gave us a good foundation of knowledge about the topic before proceeding. Our next steps were to investigate and practice writing claims, which culminated with them writing a claim for their own stakeholder based on his/her most logical position on the topic. Over the weekend, they gathered evidence their stakeholder would use to construct their argument. This week, they will be engaging in an online threaded discussion on Google Classroom, posing as their stakeholder and defending their claim with credible and logical evidence. The final activity will be a collaborative one – they will work together to generate a solution or compromise for their topic. They will have to submit a detailed explanation of the compromise, including pros and cons. Does this seem like a lot for a 13 year old? Not my 7th graders 🙂 They are doing fantastically. For some of my struggling students, I did offer assistance such as printed research for them to highlight and use. In general, though, I’ve been mostly hands-off and allowing them to explore this genre as independently as possible. I’ll be sure to report back once we have finished the unit to let you know how it went! We have now finished our Online Threaded Discussions, which went very well (done on Google Classroom). Having them do much of the legwork up front, researching and familiarizing themselves with the topic and evidence, was the most useful strategy. They came prepared to discuss! 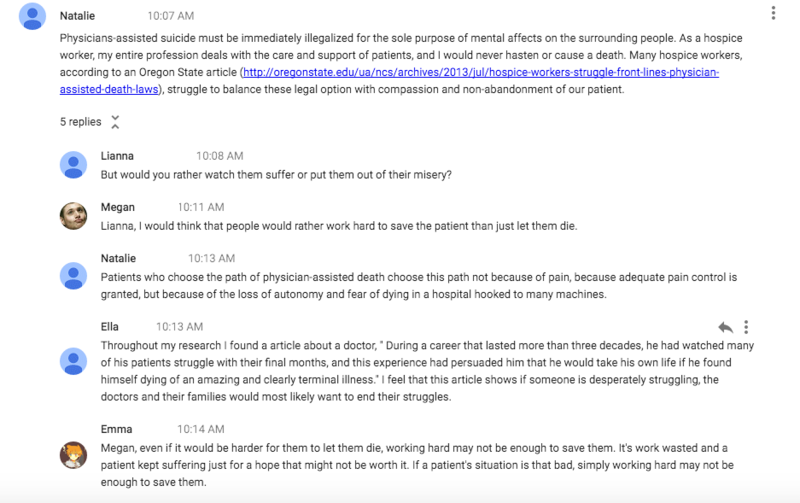 Below are some snapshots of their online discussions. 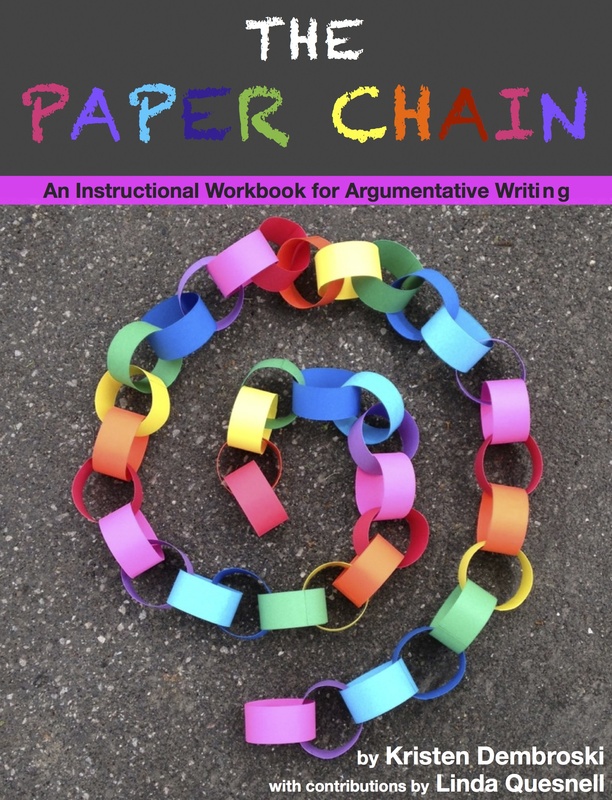 If you are interested in learning more about the activities we are doing this week, here are links to the products that I have modified to create this mini-unit: Internet Research, Argument Unit, and Argumentative Writing Instructional Workbook. So how are you spending your last few weeks? I’d love to hear!